Ok, here is my attempt at my first product review… please bear with me. Distilled Water (infused with Hibiscus Rosa Sinensis Linn (Hibiscus) Petals), Aloe Barbadensis (Aloe Vera) Leaf Juice, Cetyl Alcohol, Cetearyl Alcohol, Behentrimonium Methosulfate, Honey, Butyrospermum Parkii (Shea Butter) Fruit, Panthenol, Musa Sapientum (Banana) Fruit Extract, Hydrolyzed Oat Flour, Plantago Species (Plantain) Leaf Extract, Olea Europaea (Olive) Oil, Astrocaryum Murumuru Butter, Helianthus Annuus (Sunflower) Seed Oil, Persea Gratissima (Avocado) Oil, Macadamia Ternifolia (Macadamia Nut) Seed Oil, Theobroma Grandiflorum (Cupuacu) Seed Butter, Citrus Aurantium Dulcis (Orange) Peel Wax, Disodium Cocoamphodipropionate, PEG -7 Olivate, Disodium Cocoamphodiacetate, (Vegetable) Glycerin, Guar Hydroxypropyltrimonium Chloride, Phenoxyethanol, Caprylyl Glycol, Tetrasodium EDTA , Fragrance. First of all, I LOVE the smell! It smells like bananas and deliciousness, Yummy! It has a thick creamy consistency but slightly textured. 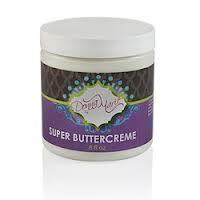 My hair feels instantly soft when I apply it and it moisturizes my hair very well. I’ve used it under my steamer, my hooded dryer with a baggie, and as an overnight DC. Each time I get excellent results. My favorite way to DC is to sit under my hooded dryer with a plastic bag for ten minutes and then leaving it on overnight. When I rinse my hair the next day it is very soft and moisturized. It also works well as a leave in conditioner. It doesn’t weigh my hair down too much and I haven’t had any issues with it reacting with any of my gels. Lastly, I’ve used it as a rinse out. Although my hair felt very soft, it didn’t have much slip to me so I couldn’t detangle with it using it in this manner. I’ve been slowly working on my holy grail list and I am pretty confident this will be in attendance! To big chop or not, that is the question? *Note: This post was written months before posting. I was still deciding whether or not to blog. When I made the decision to go completely natural, I made it my mission to transition long term. I took very good care of my hair and I was not the one to just go and cut my hair. So I researched for hours on YouTube and CurlyNikki.com for tips on long term transition styles. My go to styles were Bantu knots, and curly pony tails. Wash n Go’s weren’t an option because half of my hair curled just fine, while the other half had major heat damage. Eh, what’s a girl to do. I didn’t mind the transition styles. I had fun trying to figure out what style to do next. What I did mind was the detangling process. The first night of detangling my hair I cried. I had never lost so much hair in my life. It took me 2 hours to detangle my hair!!! I’m actually convinced it was longer to be honest. I frantically went to the Curly Nikki forums searching for help. Someone suggested detangling in sections, so the next time I washed my hair I did just that. It helped some but not very much. So I went from using Giovanni conditioner as a rinse out to Tresemme naturals. It helped a little but I was frustrated because it was still taking an 1hr to 1hr45 minutes to detangle. (I began to seriously consider the big chop) Even when I sat under a steamer it didn’t help. I tried Hair Rules quench to detangle and that didn’t help. The only relief I got was to dry detangle. “Say what? !” Yes dry detangle… well technically. Let me explain. I would gently separate my hair up into 8 sections. Then I would spray that section with Jane Carter’s Revitalizing Leave In Conditioner. (It is an excellent detangler!) Next, I would use my Denman brush to detangle and then braid that section into one braid. I did this for each section. It made detangling easier, but I still had a lot of shedding/breakage. Then I would wash each section one by one, add conditioner, clip up, and baggie. My hair would tangle right back up after rinsing the conditioner out and I’d have to detangle all over again with more shedding/breakage. I realized that one of the issues that contributed to my tangled mess was the fact that I had just gotten color 2 months prior to my natural hair discovery. (See previous post) It dried my hair out significantly. I purchased product after product. Nothing seemed to work. It seemed as if the big chop was eminent. I came across the book, “Science of Black Hair,” along with the discovery of Denim Pixie’s (Elle) YouTube channel and blog, “Quest for the Perfect Curl.” She did a video called, “Some Tidbits on Protein,” which I found very informative and the “Science of Black Hair” really broke it down further for me. So I grabbed all of the products I had and realized I was causing major protein overload in my hair which was causing it to be perpetually dry and shed/break. 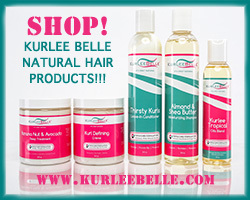 I began looking for moisturizing shampoos and conditioners. I used Hello Hydration conditioner as a rinse out first. I still hadn’t found a moisturizing shampoo. I had significant improvement on detangling but it still took awhile. I was down to 45 mins detangling in the shower, and for the 1st time my hair felt somewhat softer. Also, my shedding/breakage decreased. I returned to Elle’s blog and on her Holy Grail list I saw Creme of Nature’s Argan Oil Moisture and Shine Shampoo. I went to my local beauty supply store and picked it up. Score!!!! My hair felt so soft while washing, still in sections but much easier. 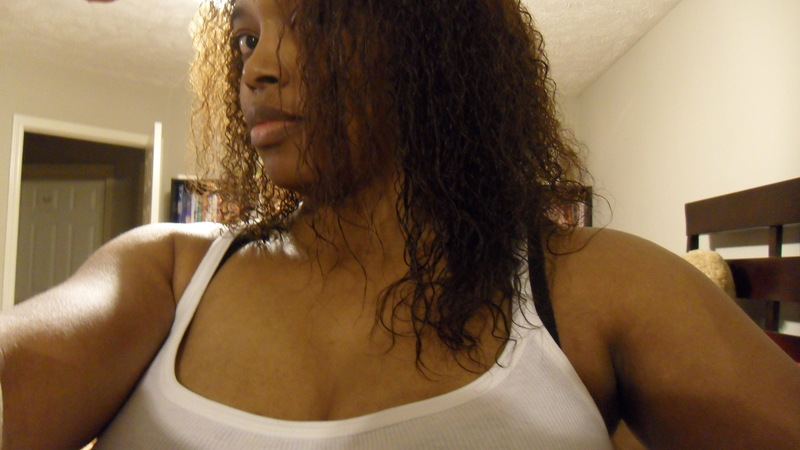 The Creme of Nature coupled with my hello hydration decreased my shedding/breaking and detangling time significantly. I was down to 30 mins and was finally experiencing regular shedding. All is well in my world so there is no need to big chop now … Right?